I recently revisited photos from my 2013 tour of Los Angeles’ Evergreen Memorial Park and Crematory. One photo triggered the memory of an entry I started over a year ago about Chloe Canfield, who died at the hands of a disgruntled former coachman on the porch of her South Alvarado Street mansion in the early 1900s. At age twenty Chloe Phebe Wescott married Charles A. Canfield in Grand Island, Nebraska where she had been employed as a schoolteacher. Charles was a miner who would eventually rise to success as an oil tycoon after a few entrepreneurial dry spells. 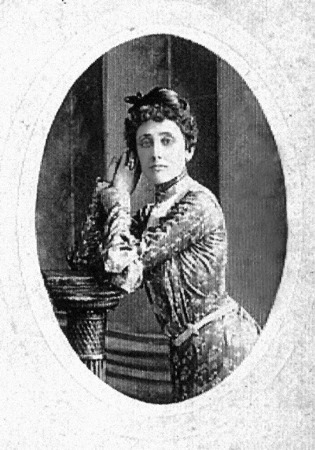 She and Charles had seven children total, including one adopted daughter (Dorothy) and a son, Lee, who died in 1897 at age nine. At the time of Chloe’s death the forty-six-year old woman was well known in the community for her beauty, philanthropic activities and compassion for the less fortunate. On the evening of January 26,1906 Charles and two of their daughters (Daisy and Florence) were in Mexico viewing some of Canfield’s holdings. 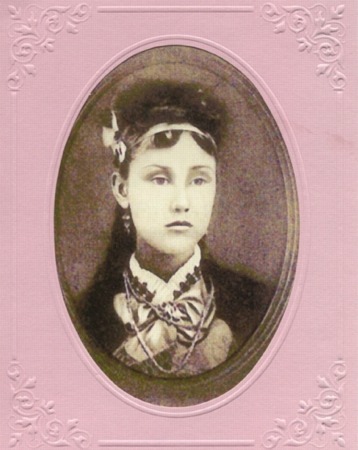 Lizzie Billingsley, a cook, provided an eyewitness account of the events that followed. Morris Buck, a coachman who’d been fired five years earlier appeared at the estate requesting a $2600 loan in the form of a letter. Mrs. Canfield didn’t have direct contact with Buck that day because the letter was delivered to her by the servant who answered the door. Mrs. Canfield thought little more of the request according to the kitchen staff. The next evening Mr. Buck returned to the Canfield home around 5:15 but Chloe was out for a drive. He waited for her on the porch when the cook was too frightened by his “wild” demeanor to allow him entry. When Mrs. Canfield returned she and Buck stood on the veranda where she again refused to lend him any money. Enraged, Buck produced a pistol and within moments he’d fired off two shots. The first bullet entered mid-chest, penetrated the membrane over her heart and passed through her left lung before exiting through her fourth rib. The second shot punctured her large intestines and caused the fatal internal hemorrhage. Special Officer Charles L. Foster heard the alarm and rode his bicycle to the crime scene. Once there he pursued the suspect on foot around the porch and into a boat house where he was apprehended. After holding off an angry lynch mob Mr. Buck was taken to the police station without further incident. Or at least that’s what the Los Angeles Herald printed. 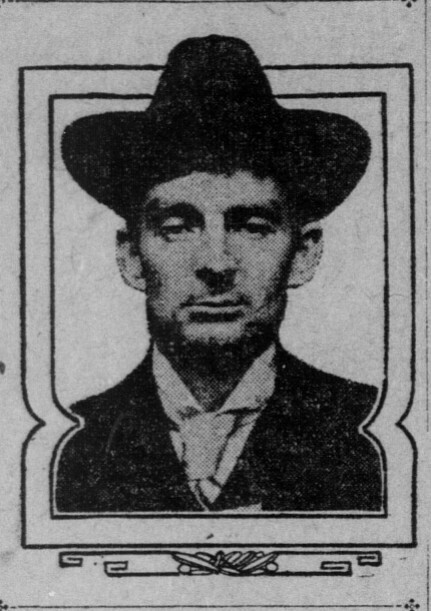 The San Francisco Call‘s account in December 1907 claimed that Buck fled the scene and was arrested several hours later in Westlake Park. “Today I went to the postoffice expecting an answer to the letter. There was none, which made me somewhat angry. I expected there would be trouble, so I took a gun and a dirk. When Mrs. Canfield and I were talking on the front porch, she went for the coachman and told him to put me off the premises. I didn’t like that at all and I told her so. But I told her I would go without any trouble being made. We stood on the porch talking for a few moments more and I again asked her for the money. I saw her reach for the side of her coat and I though she was going to pull a gun on me so I shot her. I regret not getting a closer look at the Canfield marker. 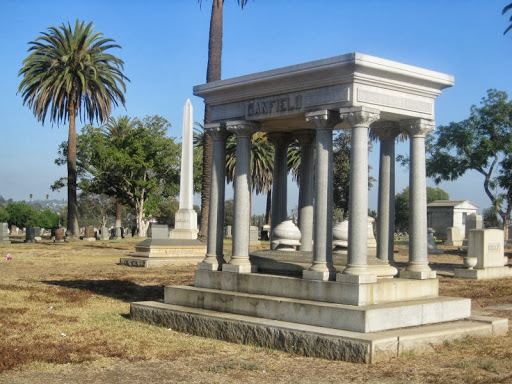 Charles Canfield was so determined to see Buck on the gallows that he hired noted Los Angeles defense attorney Earl Rogers to prosecute the crime along with former governor Henry Gage and the district attorney. Buck’s defense attorney tried to prove his client was insane as the result of head injuries he’d endured over the years but in the end the jury found him guilty. 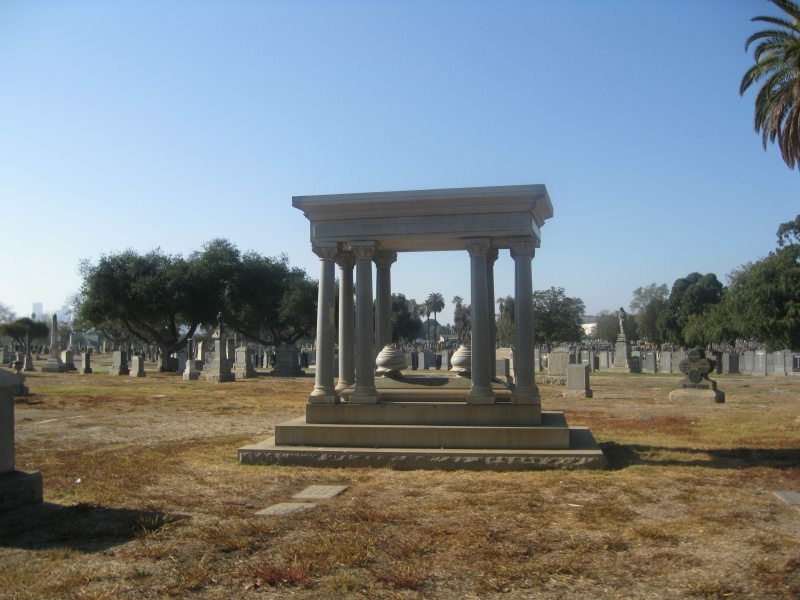 On December 6, 1907 he hanged at San Quentin prison and was buried in the prison cemetery. In Margaret Davis’ Dark Side of Fortune Charles A. Canfield went into a deep period of mourning following Chloe’s death, a depression which affected his ability to fulfill all of his business obligations. He died in August 1913 and was also buried at Evergreen. There were plenty of other interesting details about the Canfield family that I discovered during my research, stories about how the family once known for their charitable nature found themselves in the news more for courtroom bickering over finances, divorce and other tabloid-like fodder. 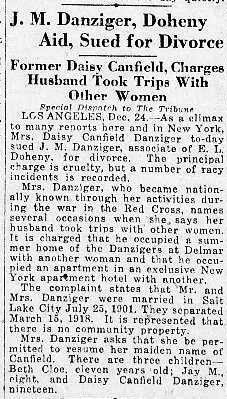 When Chloe was murdered her daughter Daisy was married to J.M Danziger, but when their marriage went sour the particulars made it to the papers. 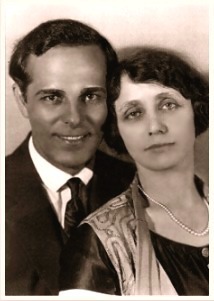 In February 1933 Daisy and Antonio’s marriage had ended although they continued to live together. Another tragic death befell the Canfield family on the evening of the 23rd when Daisy’s car plummeted off of a Mulholland Drive cliff in a patch of dense fog and low visibility returning from a party. Rumors swirled about the circumstances surrounding the Moreno’s separation as well as Daisy’s death, but in the end it was ruled an accident. The following clippings concern Chloe’s murder. Davis, Margeret. Dark Side of Fortune: Triumph and Scandal in the Life of Oil Tycoon Edward L. Doheny. *This entry was originally posted in 2015.